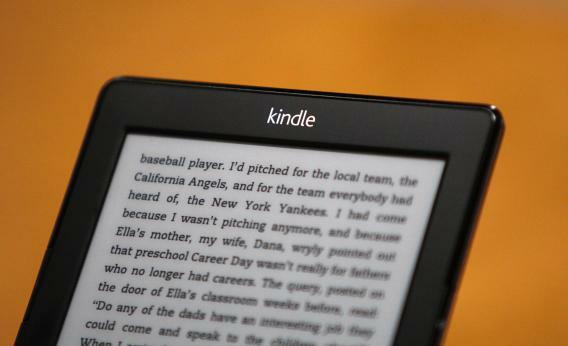 Amazon, Apple file patents to let customers buy and sell used digital content. Don’t you wish you could sell your ebooks once you’re done with them? It used to be that once you’d finished slashing your way through the mobile game Infinity Blade for the umpteenth time, you were left with the choice of replaying the game yet again or letting it collect virtual dust on your iDevice’s home screen. But soon there may be an alternative, as both Apple and Amazon are exploring ways to give your “used” digital content—like ebooks, MP3s, videos, and games—a second life by allowing you to sell it to someone else. This week Apple Insider reported that Apple had filed for a patent on a method to exchange used digital goods for cash. Not all filed patents come to fruition, but Apple’s theoretical system would be designed to facilitate the resale of content either through the original provider (iTunes) or directly between users. With certain restrictions (like minimum price and waiting periods), users would be able to transfer ownership of the right to access the content between each other, with a cut of the proceeds going back to the publisher. Amazon was recently awarded a patent for a similar used digital marketplace. It might be strange to think of digital media, which don’t suffer from physical wear and tear, as being “used” and therefore cheaper than a “new” version. Unlike a used textbook, which is bound to have seen better days by the time you receive it, a used ebook is every bit as perfect as its original copy down to the last pixel. Of course customers would like to pay less for the same product. But what’s in it for Apple and Amazon? One upside is that it could attract more customers into their closed media ecosystems. A customer who hasn’t yet committed to either iOS or Android (hard as it to believe he might exist) could potentially dive into the application and media services of either platform, knowing that he could probably recoup some of his investment were he ever to switch allegiances down the line. By enforcing old-fashioned rules of physical ownership onto modern, non-physical objects, Apple’s patent might support the company’s goal of combating piracy. In creating a used digital store, Apple would provide an easier, safer, quicker alternative to pirating media, and empower its users to move more freely within its digital walled garden.